Papdi or papris are small round shaped deep fried biscuitss made with refined white flour and oil, with ajwain or kalonji seeds to enchance the flavour.Papris are usually served in North Indian fast foods called chaat, papri chaat is quite famous street food in Mumbai and this dish is often eaten in streets. This papdi or papri are very important for making bhelpuri chaat. Some people may use gram flour and wheat flour along with white flour for making these papdis, but nothing will beat the taste of papdis prepared with maida flour.In India, we can get easily these papdi from stores, but here in Paris its quite a hard task to get them, thats why i prepared these crispy biscuits at home also at the same time i prepared some green mint chutney and sweet tamarind chutney. 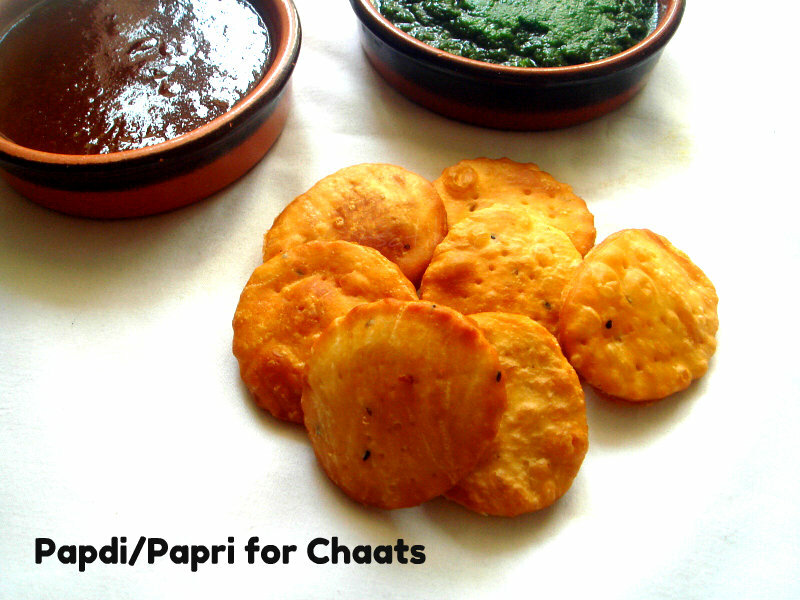 These chutneys are the most essential chutneys used in almost every chaats served in Chaat food shops. Take the maida,oil for kneading,kalonji seeds, ajwain seeds and mix well. Now slowly add the water and make a smooth sough,keep aside closed with damp cloth for 15minutes. Knead well the dough again,pinch the dough as two portion, roll a portion as a large circle and with a round cookie cutter make out small thin circles. Prick it with forks. Heat enough oil for deep frying, once the oil gets hot, slowly drop the circles and allow to cook. Flip it and cook on both sides until they turns golden brown, fry in small batches and drain the excess of oil in a paper towel. Store this papdi in an air tight box and use when needed. Blend the mint leaves, coriander leaves,grated raw mango,green chilly with salt,sugar and lemon juice as smooth paste. Store in an air tight container and serve as per need. 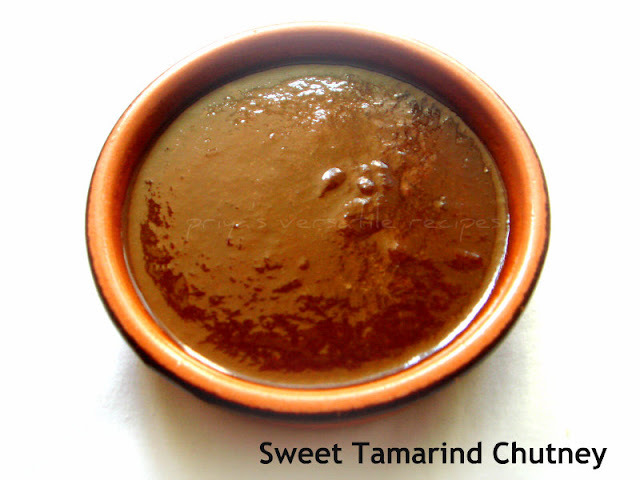 Soak small orange sized tamarind in 2cups of warm water and bring it to boil and put off the heat. Blend together this tamarind paste and seedless dates as smooth paste.Strain it through a sieve. Transfer this paste to a pan and cook in medium flame with jaggery,red chilly powder, cumin powder and salt until the chutney turns thick. Once cool, store it in an air tight box and refrigerate for further use. Chutney looks so colorful and mouthwatering. Excellent preparation. I too prepare tamarind sauce in this manner, all together looks good. Priya this is delicous. I do not know where to look. 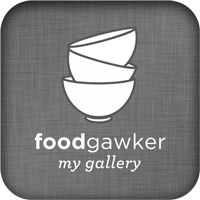 Amazing pics of course teh recipes also but today the pics are pulling me to just look at them. lovely and delicious!! 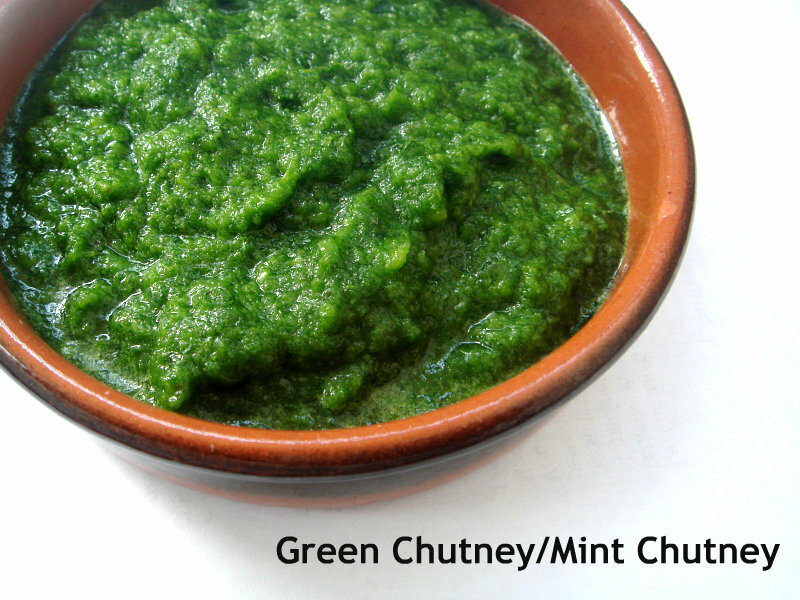 love the green color in the chutney!! This looks great. I tried making them once. They never came out well! All three tastes great together. I love the papadi and I buy them a lot from the local store. It looks very simple to make. That's a pure torture...Yummy and flavorful ! 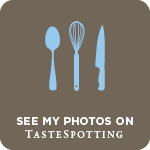 Priya...don't forget to link your fav kids recipes to my blog event ...will end in a few days..pls dear post your recipes asap...Thanks in advance,..